Pernicious Presents 2016 Christmas Event! Adventurers! We moogles need your help to er..help..you.. We all chipped in and got a really nice tree, or so we thought. You see we at the Mog House Management Union were planning this years festivities..And..Well..Things didn't go according to plan. We were using our mighty moogle magics to heft the star onto the tree when it..It just up and walked away! And it took all the gifts for you adventurers with it! You'll have to go beat them out of it to claim your gifts! We ordered the following from Fablinix or "Fab" the Goblin whose diaries are chronicled in "A Little Goblin's Adventure", after he approached us asking for this opportunity Kupo! Fablinix however says, it was our mog miscastin's that dun brung the tree to life! Yeah..Totally not any sleeping potion wearing off early on a trained holiday treant! Kupo we dont know what to do when the tree walked away it looked like this kupo! Search the following areas for these Twinkling Treants Kupo! Last edited by legionffxi on Mon Dec 05, 2016 7:49 pm, edited 1 time in total. December 5th will mark the second year of Legion Dark. This year, we will once again be holding a special campaign for Legions second anniversary, and we would like to offer everyone something special. The moogle overlords have decided to congratulate and thank you all by bestowing unto you the power of the ancients. Once every hour they will use their vast powers of magic to bestow a random buff onto your character. The most coveted of buffs shall last 15 minutes, while the weaker buffs which tax your bodies far less, will last for a full 30 minutes. (K-9), Southern San d'Oria, outside of the Eastern Ronfaure exit. (G-8), Bastok Markets, on the east side of the fountain. (F-5), Windurst Waters (Northern), at Odin's Gate going to the West Sarutabaruta exit. This event will run from 12:01am on Dec 1st until 11:59pm on Dec 7th 12th (extended due to a bug). The vast majority of time this year has been spent resolving outstanding issues with progression and server features stemming from major DSP updates. We will continue to provide version updates centered on these adjustments and continue to resolve the remaining outstanding issues which were caused by these DSP updates. While it is our goal to make the game easier to enjoy for solo players who are unable to play for long sessions, we will also continue to provide party-oriented content and difficult battles for those who wish to adventure with their friends. The development and operations teams are working tirelessly to provide you with the most engrossing Vana'diel experience to date, and we look forward to continuing our journeys with you in this, our third year of service. Small update today with the return of some Big content. 2016 will be forever known as the year of the Massive Update that never ended on Legiondark. With two very Massive Updates and 5 sequential patches between October and December the development team has been hard at work answering all of your issues. Massive Update Part 1/2/3 all started as one gigantic patch which we had hoped would solve a majority of the servers issues in a single stroke. Towards the end of February it quickly became apparent that the Massive Update would need to be split into multiple updates. On March 18th we successfully rolled out Massive Update Part 1 combined with level 119 crafting and a re-balance and reorganization of basic progression on the server. This was the first step in getting us to a position where we could comfortably keep everything updated with DSP on a regular basis. Over the next several months we continued to move all retail accurate aspects of the project over to Darkstar Project in an attempt to make updating even easier. On Sept 17th we launched Massive Update Part 2 which had multiple QOL improvements combined with several new changes to the server, SU 1/2 gear functioning, Mog 3/4. the reopening of some closed content due to various issues and synergy recipes being moved to regular crafting. The successful completion of this update allowed us to re-sync with Darkstar Project and roll out multiple smaller updates throughout the rest of the year culminating in the reopening of our last major piece of content in December the return of the Relic and Mythic trials. 2016 saw several changes on the social media aspect of LegionDark. First addressing our most recent change, we have discontinued the use of Teamspeak and have now in addition to our presence in IRC have opened a new Discord channel. The website has also underwent massive changes, thanks to our good friend Atom0s. We have anew design complete with direct links to our forums, discord, and IRC channels. We also have multiple tools to assist adventurers in their day to day questions in the world of Vana' diel. BCNM tools, Blu Mage Tools, Item tools with crafting recipes, and of course a complex Monster database which gives detailed information regarding mob levels, location, abilities etc. Perhaps one of the more important developments has happened in the last 60 days. Immortality, Sami, and Soren have been aggressively working to populate the Wiki for you the players. To see the changes as well as up to date information on how to obtain various upgrades on the server please hop on over to http://wiki.legiondark.com and use the search feature to get the most up to date information on how things work on LegionDark. Please remember this is a WIP and a good amount of information is still being transferred to the wiki from our forums. Whats in store for LegionDark in 2017, well the answer to that is simple; balance. We intend to continue working on the balance issues that have been brought up to us by current and former members of the community. We are working as quickly and diligently as possible to continue resolving these balance issues for progression, trials, mob behavior, enmity etc., and will continue to work on them to the best of our abilities. At this time we have no plans to just roll out any new content for the sake of having new content. We do however have several things in the works which will hopefully help us with our overall goals on balancing the server so it is more enjoyable for you. We look forward to seeing what 2017 brings and hope that you will continue to join us on this wild ride of discovery. Made another attempt at non retail enmity tweaking. Attempted to make physical blue spells less garbage without putting them at crazy power levels. Weapon and attack stats now matter for physical blue magic. Magic typed spells have had an advantage being boosted by the macc and magic attack on item level gear while physical spells have not been benefiting at all from higher attack stats and stronger weapons. They do now. Tome in Rolanberry Fields teleports to lobby area instead of Hall. Tome in lobby will handle Hall entry. 1 fee for entire alliance instead of per person. All alliance members in zone automatically will be pulled into the hall. Exit portals are now in place, no more being trapped if you forget to bring warp. Correct entry events and arrival positions are now used. Missing spawns repaired. Positions adjusted. Hall of Mul now properly spawns in 3 "waves" instead of each single mob spawning 1 other single mob. Both Botulus and Gallu now count as the boss for title purposes. (additional Maquette Abdhaljs-Legion info in previous news thread). BST Jug pet buff intended for this maintenance did not function as planned, work is in progress to fix this in the next maintenance! Re fix Taisaijin and Taisai for millionth time after latest DSP "fix"..Reset "days since last Taisaijin incident" sign back to zero. Cry in Corner. Cure V no longer creates more enmity than intended, and uses a fixed amount identically to retail. Atonement no longer stupidly capped to 990 dmg. Possibly OP'd now, may require further revisions. Invincible now always equals fully capped CE and VE. If another target has capped hate, the monster doesn't just forget that and this is not invincible fault. A custom hack has been added to improve player pets max HP when a weapon with item level stats is equipped. Players Jug pets Coming next maintenance! The above pet related adjustments are snapshot based, meaning the stats from the currently equipped weapon apply at spawn and do not change after the pet is spawned. Any level cap effect will despawn the pets. Any exploit discovered and not reported will result in banning. When DSP does more work on PUP, the automaton will be boosted by item level Animators. Sorry PUP you aren't fixed yet. Move Field Manuals, Grounds Tomes, and Voidwatch NPCs away form needing static IDs in zone scripts..
Add MACC% mods for food scripts to use. Annoyingly, its EFFECT_CURSE in the core, but EFFECT_CURSE_I in script. Fixed crepes to utilize the new MOD_FOOD_MACCP and MOD_FOOD_MACC_CAP. This fixes a bug I introduced with my last emotes commit, that prevented motion-only emotes. Wyverns will now be named correctly after initial name selection. Quest Lovers in the Dusk will now be removed from quest log. Fixed npc to give turban at 1000 (like retail) not > 1000. Version differences will now render an in game warning message, instead of blocking login entirely. The advanced job "Puppetmaster" is now available for play on LegionDark. You must clear certain quests in order to acquire the new job. You need to complete the puppetmaster quests even if you have puppetmaster unlocked as an imported job, or you will not have access to heads/frames/animator! Mythic Trial for PUP h2h weapon has been added. Artifact/Relic/Empyrean Reforge are work in progress, will likely be hotfixed in soon! Followup posts will detail nonworking PUP features. ilvl (100/105/106) Armor previously obtained from Legion has been readded to the server. The armor now drops from Notorious Monsters around the game world. This armor is still upgraded via Tanzanite Jewels and Legion Points. ilvl (100/105/106) Armor upgraded via Legion Moogle has had its upgrade costs reduced. Please see below for the new costs. We are now 100% up to date with all darkstar changes with a minor exception of some customized spell scripts to be hotfixed (some DSP functionality has changed). The insane amount of work put into fixing broken custom content is still ongoing, but much of it is live now. Some that worked before may have been impacted by recent darkstar changes. Teo has been and will continue hacking away at issues as they are found. Absolute Virtue will be hotfixed soon. He is temporarily not spawnable. The NPC's Rennik in Upper Jeuno and Prishe in Abyssea-Empyreal Paradox will be undergoing some hotfix changes in the near future. You may notice new NPCs nearby who currently have no function. Xmas event and Anniversary events have been updated. Anniversary Event extended to December 10th! New prizes and past prizes you missed out on are available! Please note certain items to level 75 are designated to be stocked by the players, the bot by design will not sell or purchase these items. No items over level 75 will be handled by the auction bot, these are meant to be player controlled. Recent drama has lead to the abrupt shutdown of LegionDark. From what I understand, its owner (R3P0FFXI) lost his tempter, and took his ball home. I do not know what this means for kupo, which was going to be hosted on the same network on a temporary basis. From the outset the LegionDark server has been plagued by behind the scenes stresses. I guess it finally became to much. I have only spoken with R3 at this point, I have one hella backlog of messages to read..I was only able to speak to R3 because he called someone else who could hand me their phone for a bit. My internet connection has been out throughout all this and in the last 2 weeks my only online time has been at the public library. As it is the only internet I have had all year was because R3P0FFXI hooked me up so I could continue fixing things. He knows my weaknesses: KFC and free hand me down tech. Like Leeroy Jenkins, at least I have chicken. I've helped out LegionDark for a long, long time here and done the bulk of the fixing broken stuff on a server that isn't even mine -I have my own but its always been invite only, that may change but I won't be running LegionDark ever, sorry guys. I can try and help get someone else up and running to continue LegionDark though after I talk with R3 some more. R3 was good about asking ppl on the staff for opinions on stuff, but the endless precession of lets have one million meetings and conference calls on every subject is so mind numbing that before long one pushes it form your mind and not only forgets wtf everyone said/wanted/agreed to, but one does not wish to ask later either. I tried to just make sure there was something in writing instead. once in a great while, that helped. Most of the time it was decision making chaos. Most past GMs always felt they should later be promoted to co-admins and be creating their own content to. This always lead to new drama and an eventual angry quitting. It got to where I just didn't care and tried to whittle away at my workload quietly without interruption. Over the last 2 years, a lot had changed in expectations of staff. To protect the servers reputation, the reputations of GMs who were doing their jobs, and to catch any rogue GM abusing privileges, and to catch certain types of player cheats, I added logging to just about everything you can think of and showed other admins where and how to access the logs. For a short time I was also logging certain chat, where immediately I saw conspiring to cheat, and placing blame on certain GMs among other fantastically douchbag things. Some of our GMs were vindicated, having proof positive they were being lied about. Some others were caught doing things they shouldn't. Several loud annoying players seemed to think this should have been the other way around, and continued to create drama. New GM expectations and limitations were laid out for all to see: Your GM powers do not exist to make your game easier. Some players continued to spread lies and rumors anyway - nobody want to think their buddy cheated and then lied to them about it, so of course it must be that evil GM, never mind those log confirmations or even the fact that there is no physical way to even do some of these things being accused of. Most recently just days before the shutdown, one of LegionDark's founding staff members (Loki) returned and was just willy nilly using his GM powers having been out of the loop (R3P0 is not so good at making sure everyone got the memo, though I'm not sure Loki would've have cared). Naturally people were concerned about this. Drama and and douchbaggery ensued, bystanders got the poo on them too. I think if I had been able to be present I doubt this would have gone down like it did. Rumors were spreading, doesn't matter if it was intentional or not. Ultimatums were considered, leveled, and acted upon. R3 was not going to be cutting off the person who provides his hardware/firewall/os/vm support and spends a lot of real world cash on license keys and hardware. And the full extent of what he provided wasn't widely known (and should have been). All I could do was sit back and see who pressed the nuclear option first, and wonder if the server would survive the radioactive fallout. Friday night R3 told me he shut the server down and that shortly after he flipped the switch he could no longer access the repository and that he himself left the discord. It is unclear if someone removed him from repository access or not. I see atom0s left the repositories group. I still have local copies of all the code, in all its branches so that includes the unfinished in the pipes stuff. The database is preserved as well. I do not expect the same team to be at the helm if LegionDark returns. When I spoke with R3 he indicated he was alright with someone else running LegionDark but with the express exclusion of atom0s and Immortality. I haven't spoke with atom0s yet but was told he was looking for me. 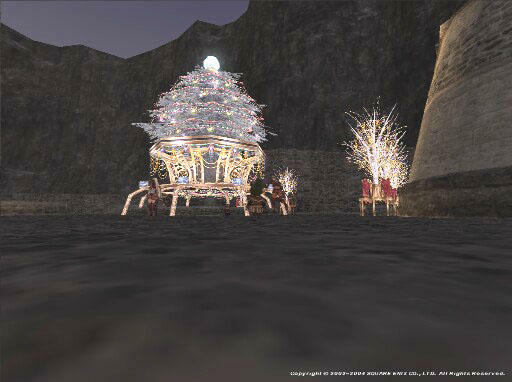 If any of "the team" starts any new FFXI servers, I do not intend to be part of it. R3, Loki, atom0s, Immortality, I wish you all well but I'm done for and didn't have any reraise so Ima homepoint outa here! I don't have any malice toward anybody, it just wasn't worth all the effort for this hobby project for the last 2+ years. Somehow I'd gotten way off track from what I was even here for anyway. I can help whoever is willing to try and run an "lv99+ server with oldschool lv75 feels" see wtf was going on in the other branches and they can decide if they want to pick up where we left off or not but I won't be along for the ride. Honestly you might be better off with a full content reset anyway just keeping the characters intact. Everything I wrote is about to be public anyway, keep an eye on Darkstar forums. ..I must have "almost quit" a dozen times but was looking forward to my release of 50+ new custom NM, 8 new zones, and 2 new custom battlefieLegionDarks, almost the entire lineup of retails "high tier" battlefields - all of which would have been my FINAL additions to the server so I kept telling myself I'd hang on till that happened. When I first started helping LegionDark's codebase was a totally unusable crapheap. It could not do 'git pull' from Darkstar-master at all and had many copy pasted scripts that would trigger crashes. I had to show everyone why they way they were doing things was not maintainable and could not survive long term. There was a lot of resistance at first. A condition of my help was "if it's fully retail, don't put it directly in LegionDark, send it to Darkstar and then pull it back to LegionDark after its merged". Everyone agreed. And then right away someone tried to ignore that and then rage quit LegionDark when I took it back out and insisted it go through a pull request to be reviewed by Darkstar. After that a lot of things were getting shared back. But A lot of bad custom was still slipping in (like substitute stats on items) and often the review process was reacted to with unreasonable anger. AT LEAST 2/3 of the team members we had over the life of LegionDark did this: a "take it or leave it" attitude, and when that happens the answer is almost always going to be leave it. I eventually was too worn out to keep trying to teach a man to fish by the time LegionDark got more willing team members on board - This entire paragraph is here because I want to apologize to you guys (you know who you are) that wanted to learn and do more, I am so so sorry guys but your predecessors really drained me. The new guy (Autkast) did everything right and put up with 20x more BS than anyone ever did before him on his pull request. My feels for the players too, those of you not cheating your rear ends off deserved more than what I could give you. As I mentioned previously R3 had quit the discord, and when you quit you strip your roles making him the same permissions as a regular player. It looks like he tried to return and assumed he had been manually removed. Permissions did change but this was afterward. Mine changed to, so did everyone else more on that below. Spoke to atom0s, says he removed everyone including himself except me from the repository access for the reason of preserve my work. Since R3 shutdown the server he says he was concerned the repository would be deleted as well. No official replacement host is decided on yet but another server was already given the character data to handle the influx of players exiting legion. On the discord atom0s removed the existing permissions and added all former staff to a group that can read but not post to the admin room. Still waiting to hear from Loki now to determine the fate of the server. Last edited by TeoTwawki on Wed Feb 07, 2018 12:54 am, edited 2 times in total.